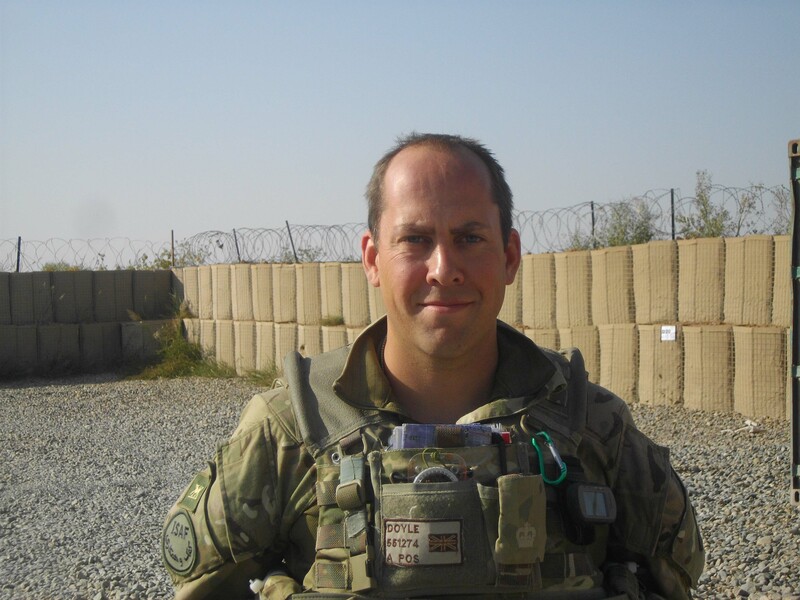 Major Simon Doyle MBE is the Officer Commanding of C Company of the 1st Battalion the Princess of Wales’s Royal Regiment (1 PWRR) known as the ‘Tigers’. 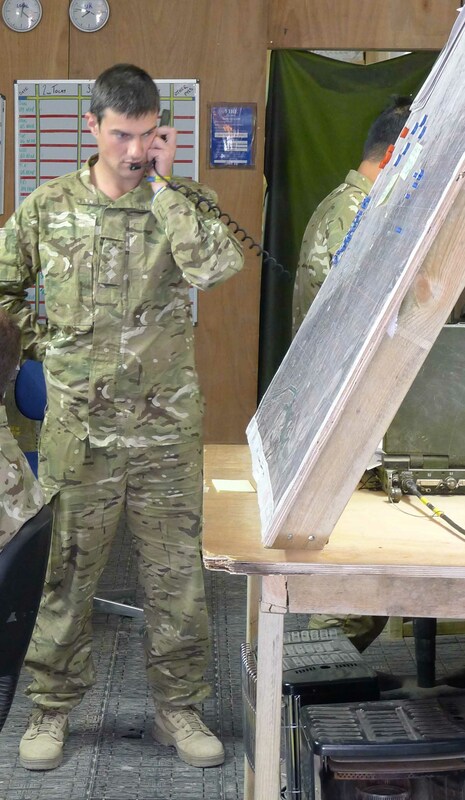 Major Doyle has responsibility for the PB Line Area of operations as a part of Combined Force nahr-e Saraj (North). As I write this final blog the company’s six month tour in Helmand province is drawing to a close. The patrol base is filling with members of Inkerman Company, 1st Battalion the Grenadier Guards, and we are about to step off on our final fighting patrol of the tour. The company have achieved a great deal in the last 6 months and have much to be proud of! Since taking over from the Danes on the PB Line the company have established an excellent working relationship with the ANA forces in the neighbouring checkpoints, particularly Capt Dawood and his warriors who man the Sarkala checkpoints ringing the high ground to our rear. By establishing and maintaining friendly, professional relationships with the ANA we have been able to encourage them to increase the frequency of their patrols which has in turn enhanced the security in the Green Zone. As security has increased we have been able to establish the first Community Shura meetings that the Deh Adam Kahn area has seen for many years – these events see all of the adult males of the area gather together to listen to the ANA and ISAF commanders’ messages accompanied by a meal of rice and chicken and plenty of tea. The events are designed to link the people of the local communities to their government and in turn stimulate growth and development in areas that distance themselves from the insurgency. Capt Dawood takes the lead in these meetings, discussing with the elders their responsibilities as good members of the Muslim community and entreating them to establish a local police force to maintain security in their villages – it has been very positive to see how Capt Dawood has nurtured the confidence of the elders over the last month and in turn how the elders and people of the area have begun to entrust their futures to Capt Dawood, and through him the Afghan Government. Whilst security has been developed west of the PB Line over the last few months, following Operation Rozi Roshan, there remains a requirement to patrol in more force east of the PB Line. The company remain very cautious when moving in this area, particularly following the IED strike that resulted in one of our Corporals receiving serious injuries. However we have completed some very successful operations during which aviation support has neutralised a number of insurgent fighters and commanders. As well as patrols and operations, the last four weeks have allowed the company to engage in some recreation as the weather has improved and we have settled into routine; the Rugby 6 Nations has been followed closely by all in the company as we have 10 Scotsmen, 1 Welshman and a number of rugby-mad Fijians attached to the Company! 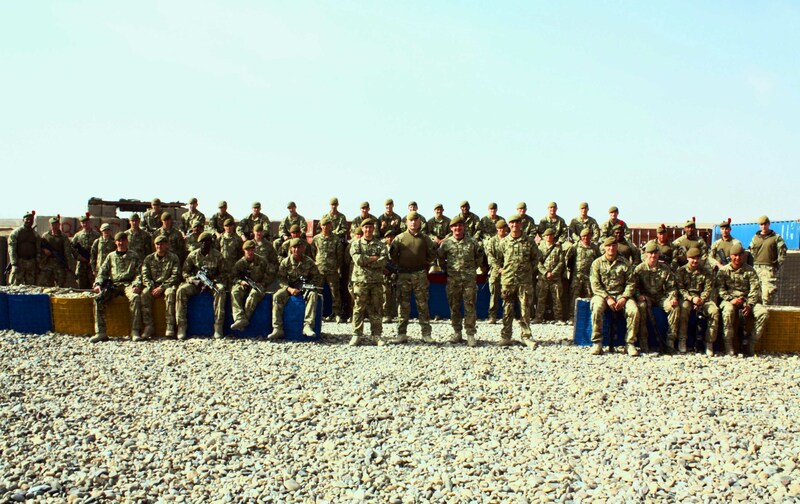 Following the fractured period of operations in January it has been great to finally have the whole of the company together in one location – it makes command easier, allows people to swap stories and maintain longstanding friendships and has also allowed the Company Sergeant Major to tackle the most difficult of Army events – the company photograph! Calling on the good nature of some of the personnel attached to the company we pulled all of our soldiers off guard duty and ensured they were kitted out in their best combat equipment and gnarliest expressions whilst the Company Sergeant Major carefully arranged our vehicles into an inch-perfect symmetrical background. The stage was set for a fantastic photograph and all that was left was for Lt Grant Reynolds to pop a couple of smoke grenades to produce a Blue-Yellow-Blue background for the photograph. Unfortunately being blessed with a lack of coordination the resultant background was a murky green colour as the smoke clouds coalesced, but, after a 2 minute wait, we were able to recoup our losses and now have a wonderful souvenir of our time on the PB Line which will be printed on our return to Germany. It seems amazing how quickly the past 6 months have gone by for us over here in Afghanistan; we have served in two different Battle Groups and answered to four commanding officers; manned over 15 checkpoints or patrol bases across Helmand Province, completed hundreds of patrols and over 25 deliberate operations contributing to the increased security for the Afghan population that is the overarching reason for our involvement here. Most of all we have learned a great deal about ourselves; the mental and physical strengths that reside within us all when the situation becomes difficult, the truly remarkable bond that forms between soldiers when they experience the pressures of the battlefield and of course the unflinching support of our loved ones at home, without which we would not have been able to achieve anything in the last six months. Knowing that there are people at home who love you unconditionally regardless of the conditions we live in or the events occurring around us is immensely reassuring – each letter, E-Bluey and parcel received has contributed directly to the high morale maintained by the company during Operation Herrick 15 and for that we thank each and everyone of our families and friends and look forward to seeing you all soon. God Bless to all. This entry was posted in 1 PWRR and tagged 1 PWRR, 1st-battalion-the-princess-of-waless-royal-regiment, Afghanistan, British Army, herrick 15. Bookmark the permalink. We are so proud of you and thank you from the bottom of our hearts for your bravery. Safe journey home and enjoy a very well deserved rest! Well Done, enjoy your R&R. Safe journey home.See you soon Kyle .